Most of us will be affected directly or indirectly by a mental disorder at some stage during our lives. But how much do many of us really understand about Depression, Schizophrenia or Bipolar Disorder? How would we respond to someone experiencing mental health problems? Mental disorders remain shrouded in mystery, myth and stigma. This programme aims to strip away the misunderstandings and show participants the real issues behind mental health. For more information, advice or just a chat about the range of options we offer, get in touch - we'd love to hear from you! The range of services for mentally ill people is as varied as the number and type of issues faced by users of services, but we work closely with you to design tailor-made programmes aimed specifically at the needs of your staff and service users. Using a lively, thought-provoking format delegates will come away from the course with new knowledge, fresh ideas and a positive attitude toward mental health issues. We introduce a Toolkit of fresh skills and attitudes for working with people diagnosed with Schizophrenia, Depression, Bipolar Disorder and the myriad issues and problems associated with both the symptoms and stigma of mental illness. 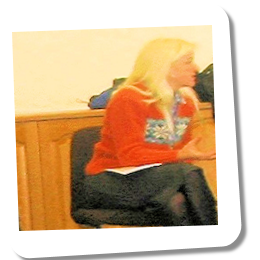 Mental Health Awarenss is best delivered as a one-day in house course for delegates requiring more intensive training, but can also be run as one of our Bite Size Courses. We can also deliver a Train the Trainer programme and Training Packs for this subject area. Not quite what you're looking for? Take a look at Mental Health and Social Care or Mental Health and Learning Disability Or just get in touch via our contact form, phone or email.